South Jakarta Population and Civil Registration Sub-dept. asked all newcomers to the territory to make temporary domicile certificates (SKDS).
" To newcomers who have not intend to move, we suggest to make SKDS as well"
Abdul Haris, Head of South Jakarta Population and Civil Registration Sub-dept. stated SKDS has an important role for newcomers as residence identity, especially for newcomers who have not intention to move. "To newcomers who have not intend to move, we suggest to make SKDS as well," he expressed, Monday (6/25). He explained they must also understand the population rules in Jakarta. That is why his party continues to socialize the regulation of population in South Jakarta area such as in Lebak Bulus Terminal by using the moment after Eid. 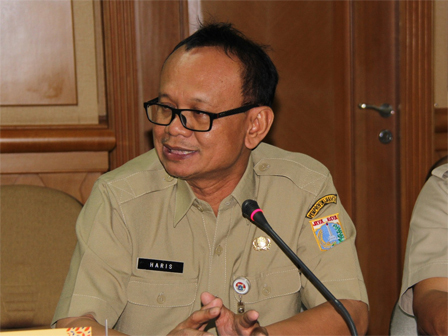 "In Lebak Bulus, the officers worked together with the South Jakarta Transportation Sub-dept. and the Police to give direct socialization on the arrived buses," he told. In future, the population operation (Biduk) will also be done in some sub-districts thus the newcomers can be more orderly. "This is also an effort to give services to the people," he stated.